Safari boat for professional user. River tour boats. LAKE AND RIVER BOATS FOR PROFESSIONAL USE! 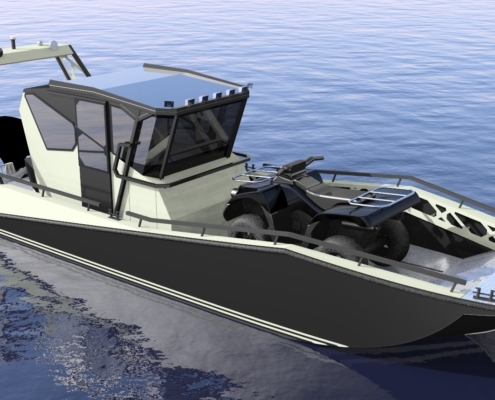 We manufacture cargo, patrol and safari boats for your business! Our river and lake boats have been developed on 20 years basis of being in the business of organizing all sorts of adventure tourism. 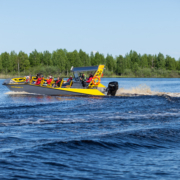 Our boats are a suitable work tool for a knowledgeable and demanding professional who operates on rivers, lakes and protected coastal waters. 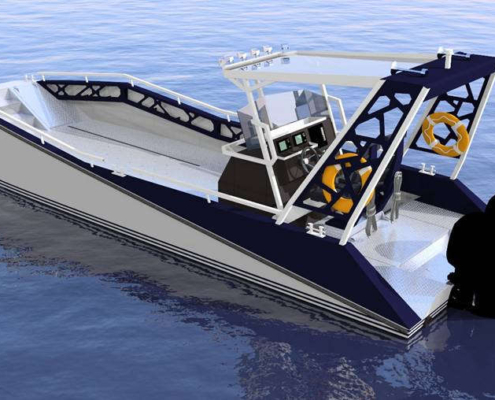 Giving you stability, driving characteristics, flexible room solution, cool design and LED bottoms lights to make the boat a memorable attraction to passengers as well as bystanders. The LR9 can reach speeds up to 40 knots with just one 300hp motor. The hull is fairly flat-bottomed, making it rise out of the water easily. You can give your passengers a thrilling ride doing it with half the engine power necessary for a RIB for example. 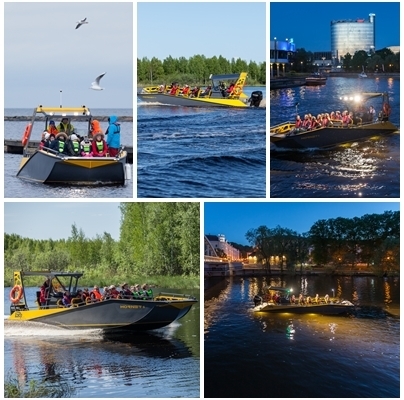 LR9 has a high load capacity, it can take up to 1800kg on board, and is suitable for offering adventure tourism services, passenger and freight transport and other work on low-water waterways. In the case of LR9, the logistics of adventure tourism have been taken into account: it can be towed with a trailer because it weighs only 1800 kilograms and BWL of 2.81 meters. 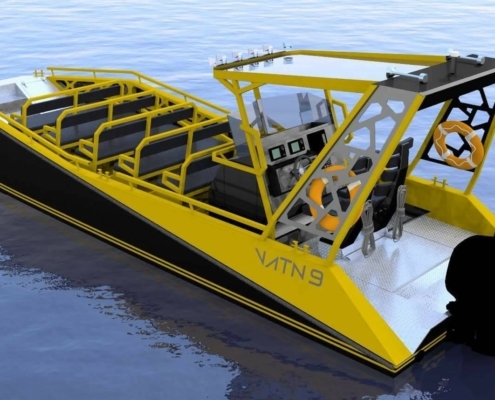 Low draft and engine mounted on a lift makes landing on shore and reaching hard places possible. The passenger room on the bow deck is spacious and the boat is super stable; it does not lean over to one side even if people rush to the same side, all seats are equally comfortable tourist-class benches.